Preparing for the international meeting in the Netherlands, we prepared a small presentation for a student’s day at school. Our Erasmus+ song. 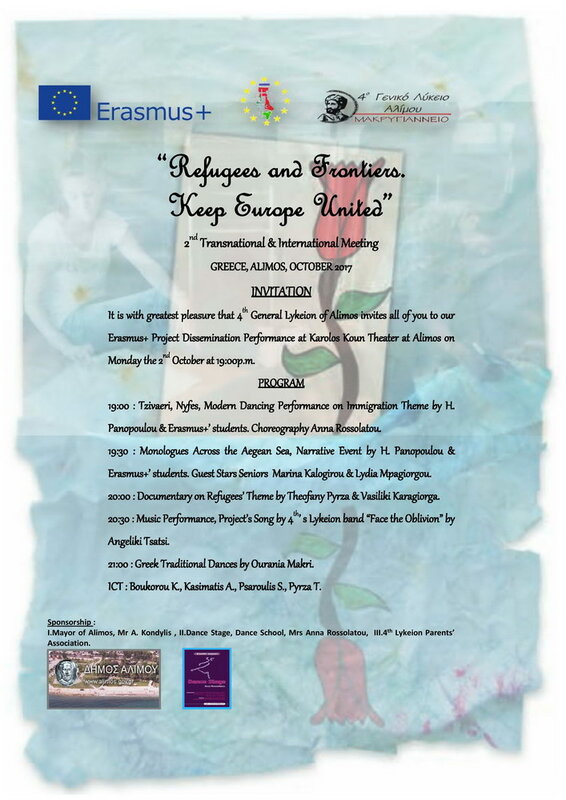 Its the first official presentation at Karolos Koun theater in front of pupils and teachers A song about refugees made by project’s students Kostis Hanis,Foteini Vlahou,Maei Argyriou,Stefi Skampardoni. Dissemination of the program begins!